I Agree With Bob. What About You? Thank you Bob for so eloquently stating the obvious. Now let’s get back to defunding Obamacare! More muzzling from on high. We’ve already heard State Department, military personnel as well as the survivors families were threatened and or bought off, coerced or otherwise convinced to ‘keep a lid on’ just went down at the Consulate and Annex those fateful hours nearly a year ago in Benghazi that cost 4 Americans their lives. Now Jake Tapper of CNN reports there were at least 35 Americans on the ground that night and the CIA is taking extraordinary measures (monthly polygraphs!) to make sure their secrets stay secret. I can’t help but recall Senator Rand Paul’s questioning of Killary during a Congressional panel after several weeks of dodging on her part; a trip to Australia, the stomach flu and then the concussion. But once on the stand he flat out told her had he been president at the time he would have ‘relieved her of her post’ for a failure of leadership. Paul also asked her point-blank, whether the U.S. mission in Libya was procuring or transferring weapons to Turkey and other Arab countries. Well not too surprisingly she denied any knowledge of it but it seems more and more certain some type of black-ops was underway that fateful night and with CNN’s story earlier today it may be that another top Obama insider could have very likely perjured herself just like Eric Holder did recently. She’s outta office now, on the lam boning up for her 2016 campaign, but I think she may be squirming just a little and wishin’ & hoping the bribes, threats, intimidation and pressure brought to bear on witnesses won’t point the finger back to her. And I really wonder when they’re going to release the poor sucker sitting in jail for producing the ‘hateful’ video that caused the whole thing! 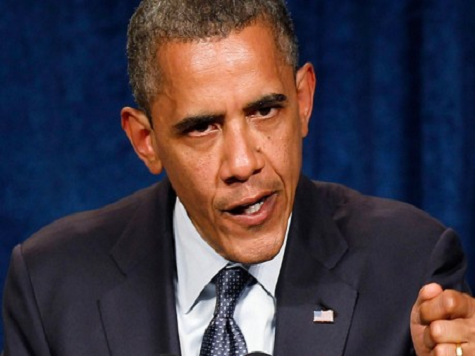 IRS targets Obama’s enemies: Primarily conservative & pro-Israel prior to the 2012 election. Why, who ordered it and was there WH involvement in the cover-up? Benghazi: Actually 3 scandals in one: 1) The failure to protect the Benghazi mission; 2) The changes to the talking points & the suggestion that the attack was motivated by an anti-Muslim video; 3) The stonewalling by the WH as to what Obama did the night of the attack. Spying on the AP: The DOJ did a massive sweep of Associated Press’ phone records. Rosengate: The DOJ named FOX News reporter James Rosen a criminal and monitored his phones and emails (as well as his mother’s!). Eric Holder’s Perjury #1: Holder told Congress he’d never been associated with “potential prosecution” of a journalist but he actually signed the affidavit naming Rosen a potential criminal to get a judge to sign the warrant -and it took them 3 tires to find a judge willing to sign a warrant. The ATP “Fast & Furious” scheme: Allowed weapons from the US to get into the hands of Mexican drug dealers. Hundreds of Mexicans and 2 US Border Patrol Agents are dead as a result. Eric Holder’s Perjury #2: Holder knew of FF far in advance of when he told Congress he did. He was later found “In Contempt of Congress” for failure to turn over documents for the FF investigation. Sebelius shakes down insurance companies for donations to fund Obamacare: Totally against all regulations as her Dept oversees them. The Pigford Scandal: An Ag Dept effort to compensate black farmers who’d been discriminated against turned into a “gravy train” shoveling billions of dollars in cash to thousands of minority & female farmers who very likely were never even farmers. Govt Services Admin gone wild: The GSA held a training conference in Las Vegas costing nearly a million dollars featuring a clown & a mind-reader. Veterans Affairs in Disney World: More than $6 Million was wasted on 2 conferences, meanwhile waiting time for our injured and sick veterans has increased 2000% in the last 4 years. Sebelius violates Hatch Act: caught politicking while speaking in an official capacity endorsing a Democratic candidate for governor of NC. Solyndra: Nobama’s Dept of Energy funded and promoted its poster boy for green energy despite numerous warning signs the company was headed for bankruptcy. Cost US taxpayers over $6.5 Billion. AKA Lisa Jackson: Former EPA head Lisa Jackson caught using an alias (Richard Windsor) in email correspondence to avoid scrutiny. The New Black Panthers: DOJ refused to prosecute blatant voter intimidation at a polling place in Philadelphia by the NBP group caught on video during the 2008 election. Obama going to war in Lybia without Congressional approval: A clear violation of the US Constitution. Biden bullying the Press: The VP repeatedly interfered with press coverage, deleting photos and editing press pool reports. AKPD not A-Okay: The Administration paid $$Millions to a firm (AKPD Message & Media) owned by adviser David Axelrod to promote Obamacare. Representative Sestak bribed with prestigious White House position by Bill Clinton & Rahm Emanuel to drop out of 2010 Primary against the Administration’s favored candidate Senator Arlen Specter. I’ll pass my own laws: Obama repeatedly makes end runs around Congress by deciding which laws to enforce (Immigration, NO; Defense of Marriage, NO; declaring the House recessed in order to make National Labor Board appointments, YES). And these are just the most egregious acts committed by Barrack Obama. What will be left of our liberties and our country at the end of his 2nd term? 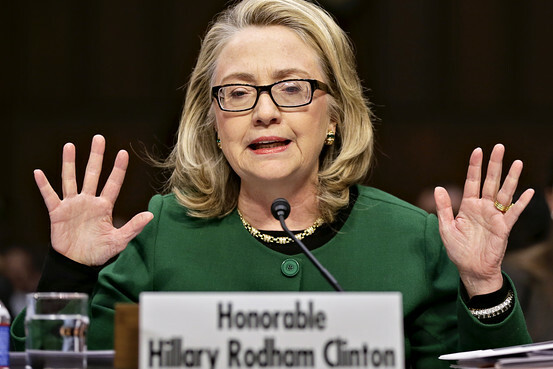 Memo to Hillary “Rotten” Clinton: It makes a BIG difference that you lied through your teeth. And I’ll just leave you with this -is this really who we want for the next president of the United States? After Steve Croft’s exposure on 60-Minutes, of perhaps the biggest wealth-builder for US Congressmen/women and Senators, i.e., insider trading, Obama made big theater of signing the STOCK Act (Stop Trading on Congressional Knowledge Act) in an effort to repair the “trust deficit” the American public has for its leaders. This was before the election of course. Just like any truthful, extensive investigation of Benghazi, who needs it running up to an election? Well, don’t give up boys and girls because the truth may still come out on that one. But gutting the STOCK act is really reprehensible. Maybe this explains why the stock market is so high in the face of heaps of absolutely, dismal GLOBAL economic news. “Transparency & the rule of law will be the touchstone of this administration.” (None of the health care negotiations or deliberations were made public on CSPAN even after Obama said it would all be televised for the American public). “If you have insurance that you like, you will be able to keep that.” (Companies are dropping employee health care plans in droves because of the costs. Companies in favor with Obama were issued waivers). “No family making less than $250,000 will see any form of tax increase; not income tax, payroll taxes, capital gains taxes, not a dime of tax increases.” (taxes have gone up for everyone and are slated to skyrocket even more in 2013). “I’ve told Congress to close loopholes that allow big corporations to avoid paying their fair share or in some cases paying no taxes at all.” (After a $50 Billion bailout GM made huge profits and paid no federal income taxes in 2011). “This country succeeds when everyone plays by the same set of rules.” (illegal immigrants are granted in-State tuition over American citizens). “I pledge to cut the deficit in half by the end of my first term.” (it has increased by $5.5 Trillion!). 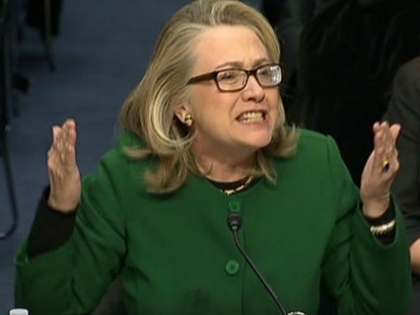 Speaking of Benghazi-gate “Look nobody wants to find out what happened more than I do.” (then why have weeks gone by without any plausible explanation of why our Ambassador and other Americans were even in Libya after the Red Cross & other Embassies had closed due to security concerns? Why continue to promote the lie about a YouTube video causing a spontaneous demonstration that got out of hand? And why Mr. Obama was military support denied as you watched the attack in near “real time” as Charlene Lamb of the State Dept testified? “I will be held accountable. If I don’t have this done in 3 years this will be a 1-term proposition” (This is true. On November 6th you’re history! ).